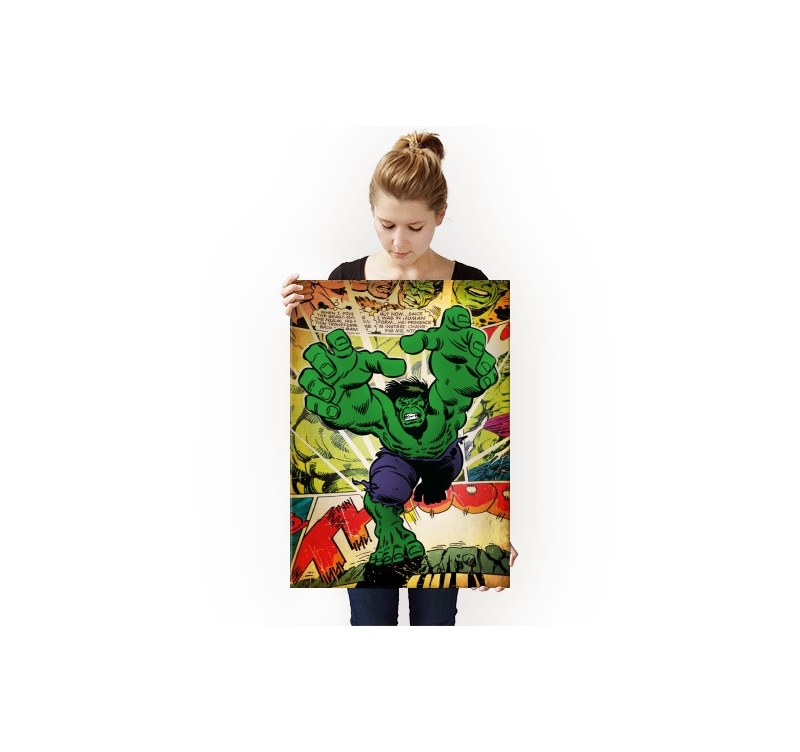 All the strength of the incredible Hulk on a metal poster ! A retro style with this Marvel retro poster. 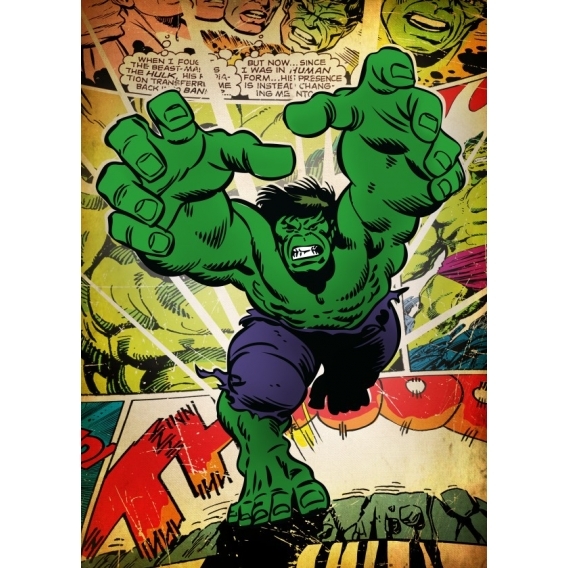 The dimensions of this Hulk wall poster are 48 x 67,5 cm. 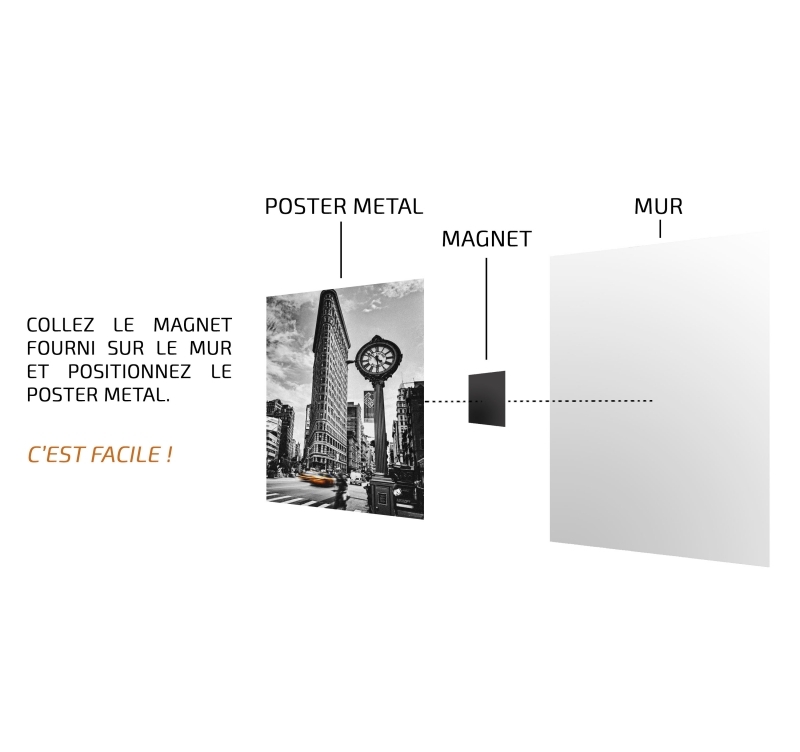 Free deliveries in metropolitan France and Belgium for this Hulk metal poster. Your youth hero on a retro poster reminding your best years ! 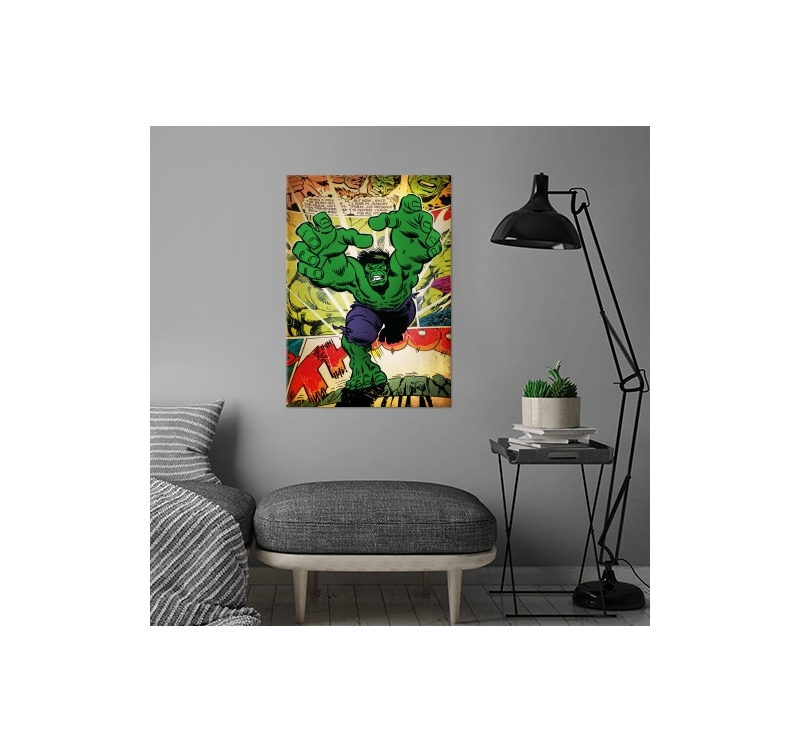 The green giant, Hulk, famous for his feats and super human strength, comes to decorate your interior on a unique vintage poster. 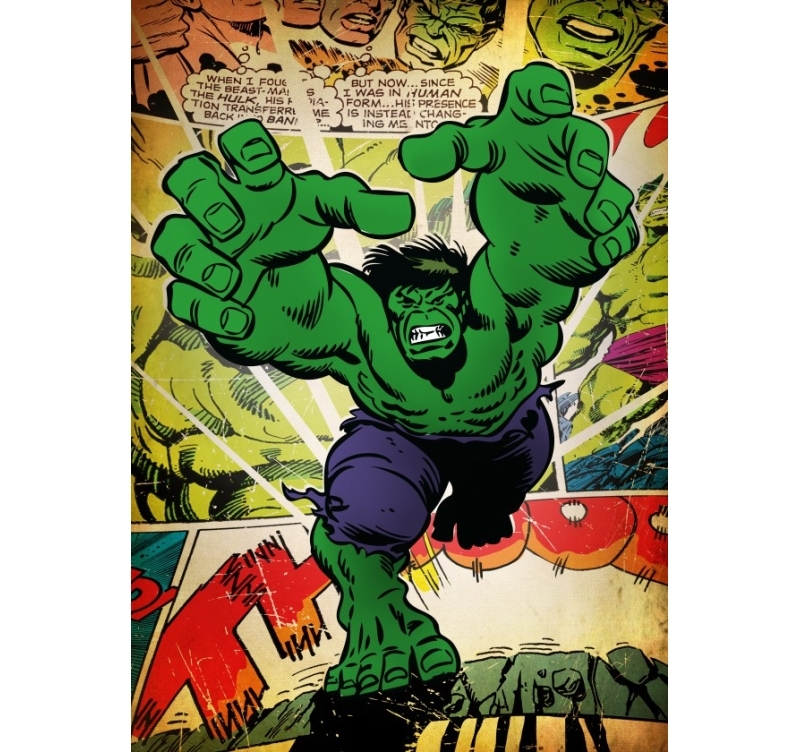 This wall metal poster was created by our artist to propose an original touch to all of Hulk’s fans ! 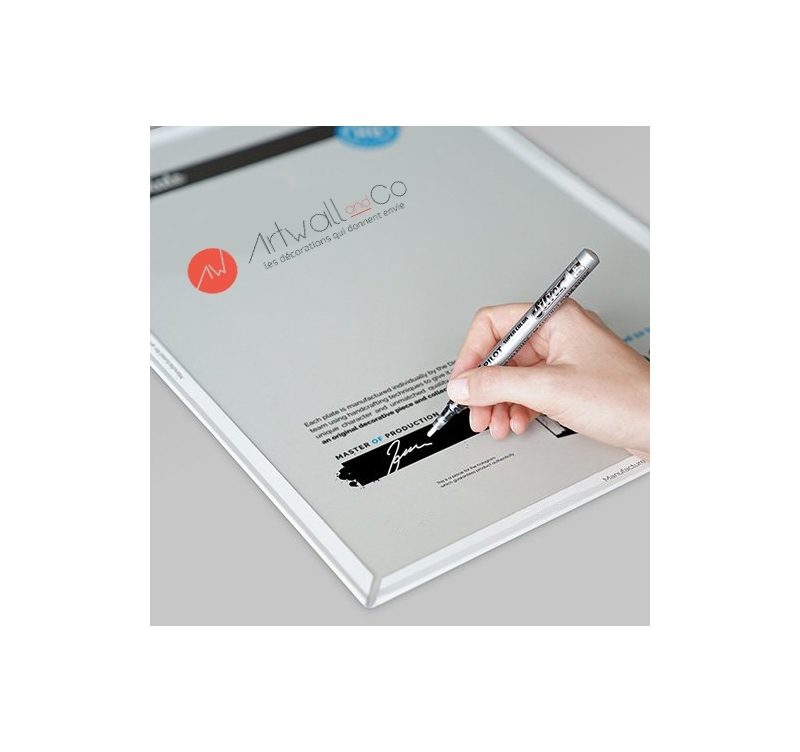 Hanging up this design poster is very easy thanks to a no-hole no-screw system that will allow you to change your Artwall and Co poster indefinitely. Each metal poster allows you to support the artist that created it.